For patients who have an understandable fear of losing their teeth, even if those teeth are not in a good condition, and for those who have already lost some teeth but want to restore their smile, the Fixed Teeth In A Day procedure is the perfect treatment. 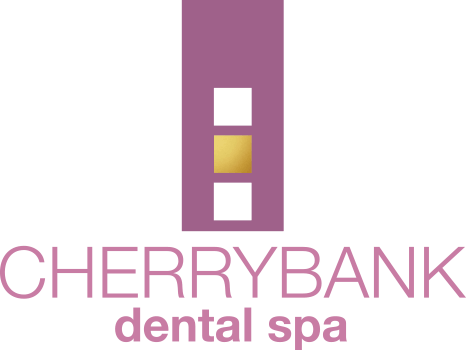 At Cherrybank, our team of experts combine excellent care and support to help you move from failing teeth to fixed teeth and regain the confidence in your smile, in just one day and without the need for a denture. This procedure is sometimes called All On Four. The revolutionary Fixed Teeth In A Day procedure is often known as All On Four because it uses just four fixed dental implants, screwed into your jawline to support a whole row of replacement teeth. If you have any missing teeth, or poor failing teeth which you can no longer use, the All On Four treatment can provide you with a brand new set in just a single day. To carry out the Fixed Teeth In A Day treatment, we combine the natural-smile cosmetic expertise of Dr Elaine Halley, with highly skilled implant surgeons and a master dental technician on site, to plan and implement the whole process in just a few hours. 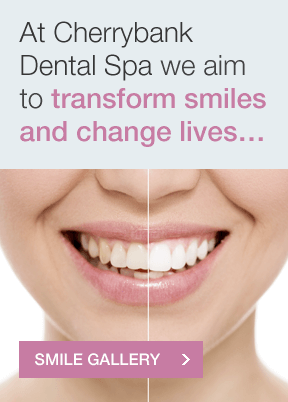 We’ll adapt your smile to your specification, refining and perfecting it for you in our practice. We’ll have a sedationist on hand to reduce any anxiety and help you to cope with the procedure if you need it. With just one day required for the treatment, you won’t have to leave the comfort of our premises. We will take care of your every need, keep you secure and well-fed, and ensure you leave with a brand new smile! In many cases, the All On Four procedure doesn’t require the work you might have been told previously, and it can often end up costing less than alternatives such as dentures. Everyone has unique teeth, and each patient has individual concerns and an individual situation. 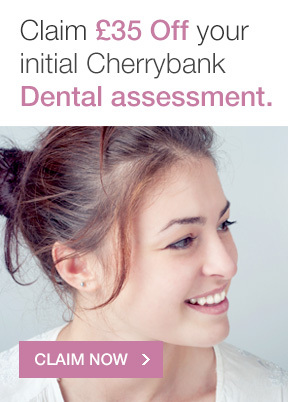 At Cherrybank, we believe it is our job to properly assess your whole mouth, listen to your concerns and then let you know all the options that modern dentistry has to offer. 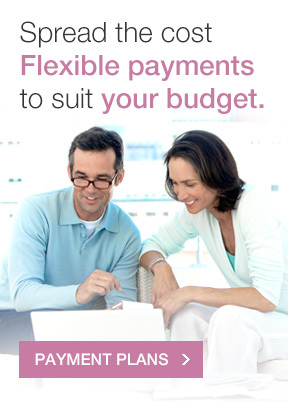 It is our mission to help you to make the right decision for your future – the right decision for you. For many patients, this is moving from repeated extensive dentistry to a simpler solution – Fixed Teeth in a Day. This treatment lets us tailor the perfect smile just for you, and is ideal because it only takes one day, and leaves you with a full set of teeth which you can use immediately. “My many queries were answered comprehensively and almost immediately by Jill and Sam the treatment coordinators in the Perth surgery enabling me to come to an informed decision. Call us to speak to one of our team about our All On Four treatments today, or fill out a contact form and we will call you back. View before and after images from some of our Fixed Teeth in a Day patients. Read our Testimonials to see what patients who have had the treatment say. 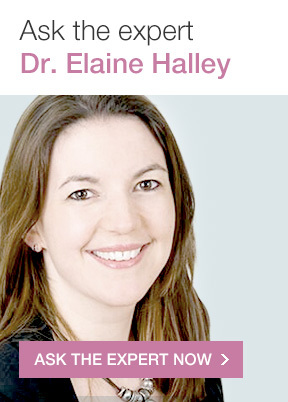 Read Dr Elaine Halley’s article about Fixed Teeth In A Day in the MyFaceMyBody Magazine (pages 12 – 13).